Inspired Style: Robert Downey Jr.
Robert Downey Jr. has starred in over 83 movies and T.V. shows and has 2 Oscar nominations and 2 Golden Globe wins under his belt. Starting in the 1970s at the early age of 5 and continuing to this day with his latest hit, Captain America: Civil War, Robert Downey Jr., who is the world’s highest-paid actor, can only be described as prolific. Whether he’s saving the world as Iron Man or solving mysteries in Victorian era England as Sherlock Holmes, pioneering the beginning of motion pictures as Charlie Chaplin or dressed to the nines for the Monaco Grand Prix, Robert Downey Jr.’s sense of style has always stayed impeccable, evolving and growing with the times regardless of the role he is playing. Today let’s learn from the best by taking a look at some of our favorite looks from Robert Downey Jr.’s more recent offerings. It’s important to note that with some of these looks, the clothing that is worn during filming is a custom rendition made exclusively for the film by costume designers, so in those cases we’ve gone ahead and selected nearly identical, just-as-stylish offerings that are available in stores. Let’s start with the movie Captain America: Civil War. RDJ’s look was already causing some buzz before the movie’s launch when it was seen in pre-launch trailers. The look consists of three major pieces: a timeless black three-piece dinner suit, a red paisley print silk tie, and awesome two-tone sunglasses with custom red-tinted lenses. The three-piece dinner suit is a classic that has recently seen a resurgence in popularity over the past few seasons. This suit, in comparison to traditional dinner suits, is quite toned down, as this type of suit is traditionally worn with a bow and features silk striping, as well as more prominent pocket and lapel designs. The suit features a blazer with peak lapels, the traditional option for dinner suits, along with a single rear central vent, and side slit pockets. This is tied together with a sleeveless waist coat featuring a v-neck and slightly more casual trousers with a straight-legged design. This formal, somewhat rigid look is extremely fitting for RDJ’s role in the movie, who sides with the government, and we can only speculate that the custom red-tinting of his glasses along with the red tie are subtle nods to his alter ego, Iron Man. Our next pick is from The Judge. RDJ’s outfit offers up something a little more casual yet without a doubt still sophisticated. Wearing a classic pinstriped wool twill suit and a colorful two-tone blue and white dress shirt, tied together with a dark blue woven silk tie, this look seems extremely fitting for RDJ’s role as a lawyer. The blazer features a simple design with narrow lapels and front slit pockets, as well as dual rear vents and a two-button closure. The trousers are also simple, with a standard straight-legged design. The two-toned dress shirt with white collar and a blue shirt alongside the dark blue silk/cashmere woven tie add a twist to what would regularly be just another businessman’s outfit by offering a touch of Robert Downey Jr.’s trademark playfulness. Our final pick is from the movie Iron Man 2 – specifically the bar scene in Monaco right before the Monaco Grand Prix. The actual suit being worn in this scene is a custom-order David Augustin suit, that was actually sold at auction following the filming of the movie. The suit itself is a gray pinstripe design with metallic blue lining inside. The blazer is accented with a narrow lapel, alongside a rear double vent and a two-button closure. The trousers are standard fare, featuring a straight-legged design. RDJ ties the look together with a blue spread-collar dress shirt and an ornate blue and white silk tie adorned with a floral print. The result is a formal yet unstuffy look – it demands respect but is still very approachable, and almost playful. We can also speculate that the lighter blue hue of the suit reflects Tony Stark’s state of mind in the early scenes of the film. Although many may consider wet shaving to be particularly niche, social media platforms have helped grow appreciation for the art. Instagram, YouTube, and even blogs such as this one allow wet shaving enthusiasts to gather, learn, and most of all, discover the latest and greatest in the world of wet shaving. Here we have picked our top 5 wet shaving Instagram accounts, from YouTube reviewers and wet shave instructors to world-renowned barbershops and men’s grooming companies. Hopefully this will help you in picking out your next shaving creme, finding a beautiful custom brush, or even just finding like-minded shaving aficionados. Nick Shaves is a true shaving aficionado and self-described wet shaving instructor, not to mention a YouTube reviewer of all things shaving related. His instructional videos are some of the best we’ve seen, and a great starting point for those looking to get into the complex art of shaving. Nick also runs one of the best wet shaving Instagram accounts around, with great pictures of all the latest and greatest pucks, cremes, brushes, and razors. Not to mention that all of his pictures include his own in-depth insights into the products being used. We believe his Instagram is a great resource for anyone who is interested in the world of wet shaving. A relatively small Instagram handle, but nonetheless one of our personal favorites. Chris Trimble creates his own absolutely beautiful brushes and safety razors, regularly showcasing them on his Instagram page. That isn’t all he does, though. Chris also regularly posts reviews on wet shaving items that catch his interest and will even answer questions relating to them in the comments. Chris’ Instagram page is another place we would recommend to anyone who shaves using a brush and puck. Another relatively small but great Instagram page for those into a good shave. Tony regularly posts great compositions of what he’s been shaving with, along with generally in-depth reviews containing his personal insights into the products. Tony runs this alongside his wet shaving review site bartonio.com, but his Instagram posts tend to give a quicker, bite-sized overview of the products he’s reviewing. Founded by Romana Brida, Bullfrog is a traditional style barber shop located in both Milan and Zurich. Brida’s Instagram isn’t strictly shaving related, but more of an overall look into the world of men’s grooming. That being said, a lot of his pictures have to do with wet shaving. His photos are great and offer insight into the latest trends in both men’s fashion and men’s grooming – two things that should definitely go hand in hand. Based out of New York and founded by Mckenzie and Alfredo, this Instagram is one of the best in men’s grooming and wet shaving. The page features a wide array of beautiful photos, all pertaining to men’s grooming and sometimes men’s fashion, with the occasional post on architecture around the city of New York. This Instagram also has many great pictures of the latest in the world of shaving. Brooklyn Grooming is a handle we would recommend to anyone who is into men’s grooming or fashion. The first week back from the holidays can be rough, but we guarantee these stories will give you a nice little distraction. 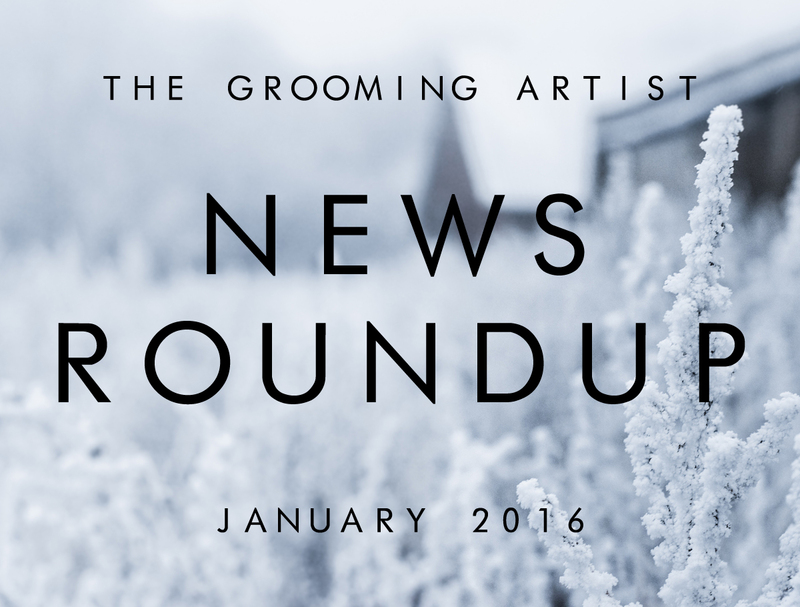 We start off the New Year with controversy in the shaving industry, with Gillette suing Dollar Shave Club over infringing on a patent. There’s also a bit of sadness in the industry as well, as we’ve lost one of modern wet shaving’s pioneers. If you’re looking to clean up your facial hair for 2016, we’ve got two guides that’ll keep your face and neck looking revitalized. And in case your New Year’s resolution is to hit the gym more, we’ve got advice on that, too.